In this section tennis clubs can find information about becoming an affiliate, insurance, hosting tournaments, different funding options, facility development matters and resources that are available to assist your club with its administration. Affiliation with Tennis Queensland opens the door to a myriad of programs and benefits including insurance, grant assistance and access to resources and advice. Access business templates, useful guides, promotional material and more to make it easy to run your club and grow participation. 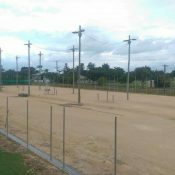 Looking to develop your tennis facility? Start here with Tennis Queensland's Court Tech resources, designed to simplify your project and get you started. There are a variety of funding opportunities available for tennis stakeholders. Check out this list of internal and external grant programs open to the Tennis community. Find out everything you need to know about tennis courts, including surface types, dimensions, cost and life cycle. Support with all management types. An operational focus with examples and business tools resources. 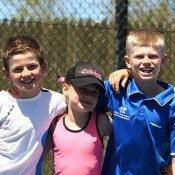 Register to win prizes and get more people playing tennis at your Club! Our National Insurance Program provides tennis clubs with cover that meets their needs. My Tennis is a secure, simple and quick online membership system for clubs and players. Use My Tennis to register your players, take payments, contact your players and track the growth of your club. Visit your region's web page for news and updates specific to your local area. You can also list your own local events, tournaments and results here to promote to players and communities from your region.